If your apartment unit has been damaged by fire or other disaster, or if your vehicle or valuables located at your apartment were stolen or damaged, you may be entitled to compensation. The key is knowing who is liable and how to hold those parties accountable. The law firm of Bracamontes & Vlasak, P.C., represents tenants in cases of substantial property damage. Our experienced trial lawyers have brought successful lawsuits against landlords and third parties, and we have convinced insurance companies to pay full and fair damages under property loss policies. The amount of your recovery depends on the knowledge and skill of your legal counsel. We seek restoration or replacement of furniture, electronics and other valuables. We seek damages for repairs and clean-up, such as carpet replacement, smoke extraction, and carpentry and painting work. You may be entitled to compensation for temporary housing if you cannot live in the apartment while it is being repaired. We work with clients and experts to detail all personal property that was lost or damaged and determine a fair value for replacement. The apartment complex owner or property manager may be liable for negligent maintenance of fire sprinklers, for inadequate security measures or for other neglected obligations. You might have grounds to sue the manufacturer, installer or building contractor for defects or gross negligence in machinery, materials or construction. You may have a claim under a renter’s insurance policy or other coverage. Our experience in insurance coverage disputes and litigation helps clients get full damages up to the policy limits. 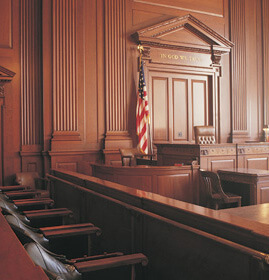 If you do have renter’s insurance, it does not exonerate the building owner or third parties. We will pursue all sources of compensation. If you suffered significant tenant property damage, our Bay Area lawyers will go to work to build the case for your maximum recovery. Call 415.835.6777 or contact us online for a free consultation.